Where do you store your essentials? Are they sentimental or practical? I have never been very good at keeping a journal. I tried several times as a child and an adolescent, but I inevitably forgot about them or lost them. As an adult, I find that this habit has affected blogging. I walk away from it for long periods of time. Previous blogs I have deleted altogether. The odd thing about the entire scenario is that I enjoy writing a great deal. It is cathartic and relaxing, and it allows me space to be creative in ways that I cannot be at work. So why doesn't it stick as a habit? I have a theory: I need a prompt. I cannot recall when exactly it occurred to me, but it's a theory I have been mulling over for some time. I think I first noticed it when I was in the book store, and a sudden smattering of journals made an appearance one day. These journals were devoted entirely to prompts and questions. Some were designed as sketchbooks or scrapbooks, with very artistic notions of relieving whatever pent-up thoughts may be lurking around in the grey matter. Others were designed to help families, couples, and individuals chronicle their lives or relationships. Ingenius! I won't be shy to admit that I frequent the Anthropologie website from time to time. 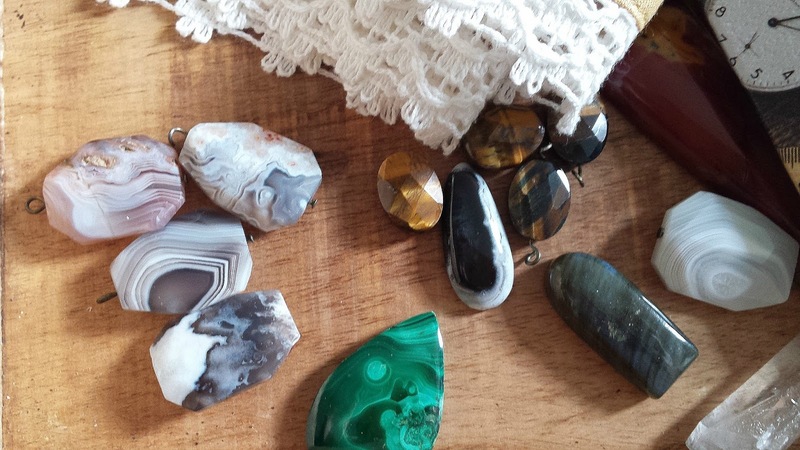 Even though I cannot afford the beautiful things often listed there, it's a great source for inspiration and occasionally, they sell gems that are within a reasonable price range. 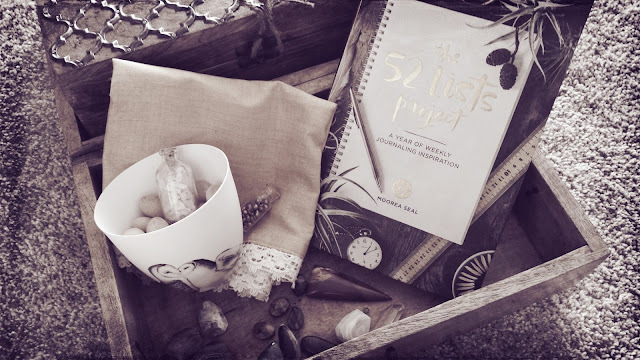 One such gem is Moorea Seal's The 52 Lists Project: A Year of Weekly Journaling Inspiration. It seemed like a great idea to kickstart my journaling habit, and so I popped over to Amazon.com and found a cheaper copy. When it arrived, it was around the beginning of Spring, so I set the target of writing a list every week on Sunday. My rule of thumb for the weekend is to always have a day for rest and relaxation before I return to work, and this is inevitably Sunday (and occasionally Mondays). This week is all about essentials. My husband, Jeff : He has been my best friend for 15 years. We are celebrating our 7th wedding anniversary this year, and we have been a couple for 14 years as of April Fool's Day. Pasta : I eat about once a week, and that's without trying. If I were a cartoon character, my veins would resemble penne with tomato sauce running through. Color : I learned at an early age that I am attracted to color displays. Seeing swatches arrayed together or creating color schemes with my outfits brings me a lot of joy. Hot showers : I am always cold, and there is nothing like a luxurious shower to warm up and calm down. Warm office : This may seem like a repeat, but it's really about atmosphere. I need my home studio and my work office to be warm and inviting. It's essential for my clients and I to feel comfortable. It is my belief that when a studio or office is distracted by physical cold or a chilly atmosphere, creativity is squandered or difficult to access. Both are need for inspiration. Scarves : There may be a trend here. I probably own twenty or more, but I enjoy the texture of a sensuous Pashmina or a handsewn infinity scarf. They have such character, and they combine my love of color, beauty, and comfort. Our owl represents Aurora Iterum or "Dawn Again" each New Year. Generosity : Before we moved, I volunteered a lot. I have been trying to find ways to build it back into my schedule while I am traveling frequently for work, but for now it's one thing at a time. In the past, I have volunteer at pet shelters, Stand Downs for homeless veterans, as a sexual assault crisis responder, and as a researcher. I have always wanted to help Habitat for Humanity build homes, so I will be looking into joining up for this very soon. For me, generosity is more than about money. It's also about generosity of spirit. Giving another person your ear, hand, or heart are great ways to find personal fulfillment while providing much-needed help. Humility : It's important to remain humble in a world filled with greatness. When our accomplishments drown out the work or improvements that remain, we attend to our ego in place of growth and transformation. I try to keep my feet firmly planted on the ground, metaphorically, so that I can by on the lookout for a new lesson every day. Love : Unconditional positive regard and love play a important roles in how we view ourselves and others. It's a cornerstone of human existence. Whether it's my parents, siblings, spouse, cats, goats, friends, or co-workers, I try to show my love and regards in acts both big and small so each person I encounter feels valued and worthwhile. Companionship : For me, companionship is akin to friendships. Like love, it's another cornerstone. No life can truly be lived healthfully in isolation. I liken companionship to finding those kinsmen who may not be related by blood, but will support me (and vice versus) through any challenge or opportunity. Holidays and rituals : This has been a struggle for me for a long time, because someone who was very dear to me passed away on a very family-oriented holiday. She was the glue that held the family together, and our family rituals slowly disintegrated over time after her passing. As an adult, I have started to take ownership of what holidays I will observe and those I will let pass quietly. I think in the process, it has helped Jeff and I discern the values that matter most to us, and those that may seem less substantial to our overall well-being. One of our rituals is to do an art project together for every New Year. 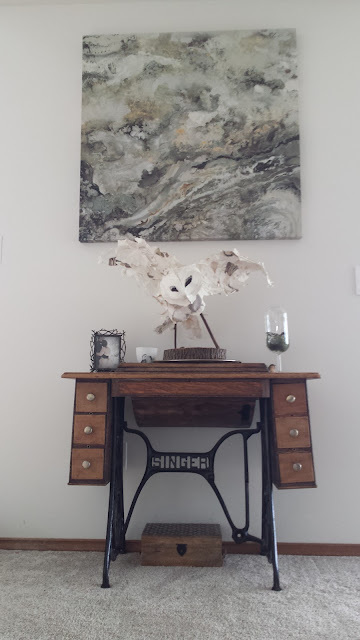 The owl above was our very first project. 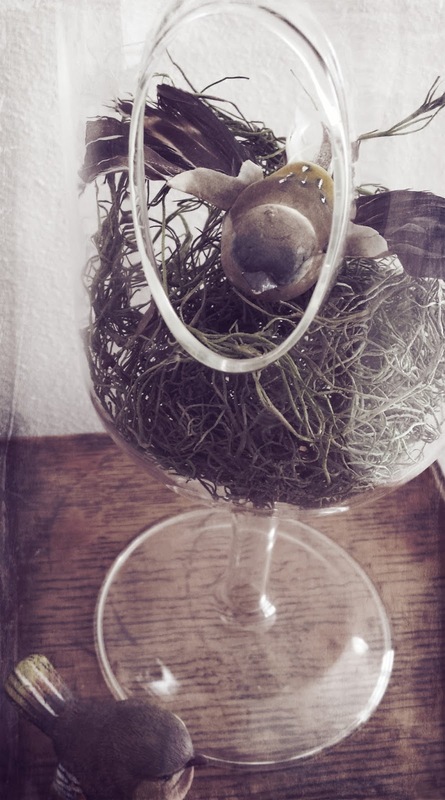 This unique glass cloche was found in an Arlington antique store. Birds : My college biology professor took us birding once. Ever since, I have found a fascination with birds that had never existed before. Now, I notice eggs and feathers wherever I go. I collect bird figurine and bird cages to decorate our home. I have a particular affinity for owls. I keep it tasteful, though, I promise. I have not turned into the bird-or cat-lady. Stones : I collect stones. I occasionally browse eBay for stones that have been smoothed into beautiful geometric cabochons or that have spectacular colors or inlays. Eventually one day I would like to learn metal-smithing and make my own bezel jewelry. Whimsy : I am a rationale, logical purpose, but I also appreciate my imagination. My poetry and fiction has been published and won small contests and awards. I am working on three novels simultaneously. It's difficult work sometimes to write, but it's an important part of keeping my mind healthy. Agate is my favorite stone. The stones shown here come from all over the world. My essentials are both sentimental and practical. Each serves a purpose in my life and various points in time, and each brings a measure of joy and peace. If you're interested in starting your own list project, head over to Moorea Seal or use the hashtag #52ListsProject on social media. The journal is also available on a variety of websites besides Amazon, including Anthropologie, Paper Source, and Urban Outfitters. It's a worthy venture if you want to learn more about yourself or clarify what you already know. Plus, you can devote a few minutes once a week or make it theme of your entire week, depending on your preference.